2.Using special materials to produce the clamps, no hurt ,no slip . * K-clamp with badminton and tennis dual use,using special materials to contact with racket, no hurting and convenient to string. * This system totally overcomes racket deformation problem due to clamp base slipping. 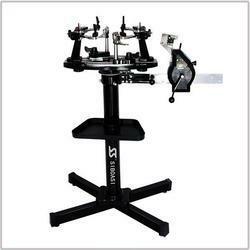 Looking for Manual Stringing Machine ?